While You Wait for Your Email – Take Advantage Of This Limited Offer! Go From "Stuck" To Non-Fiction Kindle Book – That Actually Sells – In JUST 7 DAYS? Here's how to eliminate procrastination, gain clarity on your topic & target your ideal readers with a "compelling" book that gets attention, reviews and ultimately – SALES! Do you want to create a Kindle book that is LIVE – on Amazon – by this time next week? ... actually writing a book – that SELLS – within 7 days. "How To Write A Non-Fiction Kindle eBook In 7 Days – That SELLS!" The No.1 key ingredient to success -- get this wrong and you'll struggle like 99% of other self published authors. How to overcome writers block, mindset problems, limiting beliefs and procrastination RIGHT NOW. The sneaky 'reverse engineer' technique to identify best-selling book ideas – that consistently SELL! My exact 7-day "step by step" plan to go from "no idea" to a Kindle eBook that sells. How to know EXACTLY what your book should contain – leading to happier customers who refer your book(s) to their friends. How to outline your book for MAXIMUM sales and productivity during your writing process. The 10 step process for getting into a "state of flow" mindset to become a productive ninja. The simple process I follow to crank out a FIRST draft for ENTIRE books in just 2-3 days. (Yes, it really is possible – you’ll see). The 12 steps you must follow if you want to create best seller after best seller. How to tap into the minds of your prospects ensuring your book is their only choice. Discover the W.W.W. formula to ensure your book doesn’t just gather virtual dust … but actually SELLS and gets READ. How to write an *audience grabbing* introduction and Amazon description INCREASING sales of your books. The ridiculously easy way get paid FOREVER from one book — including 3 ways to leverage your work!. 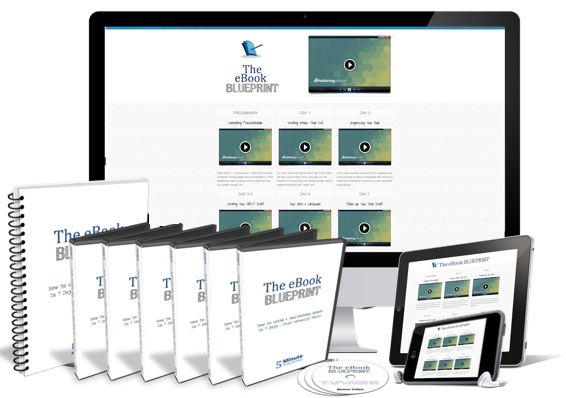 How to leverage the KDP platform to generate “consistent" sales of your book. The P.P.P formula allowing you to turn your FIRST draft into the FINAL copy in just a single day. Anyone looking to take their knowledge and turn it into a Kindle eBook that makes money. This is NOT for anyone looking to write fiction. My skills lie in identifying hot markets, understanding what makes them tick, and then positioning a book to that exact target market. Ensuring YOU get the SALE. Whether you think you can or you "can't" write a book - this is for you. If you want a DAILY action plan with the A-Z steps to write a compelling book that gets ATTENTION from your target readers and makes money ... this is for you. Like formatting, pricing, uploading to Amazon etc. ... just contact my support desk and I'll help you for FREE on your title, your targeting, your hook and your introduction. Alternatively – at any point – you can request a full refund of every cent you paid. I currently charge $300 for an hours consulting ... this is how confident I am that this training will help you, and put you on the FAST TRACK to results. So you have ZERO RISK investing today. I can't say fairer than that.